thanks for sharing. I do only handlining with mono, been contemplating with braided lines, definitely gonna try this! yea, I like both new catches. maybe I'll get my own tank soon and store all the interesting fishes :P any idea what the fish with distinct black lines might be? 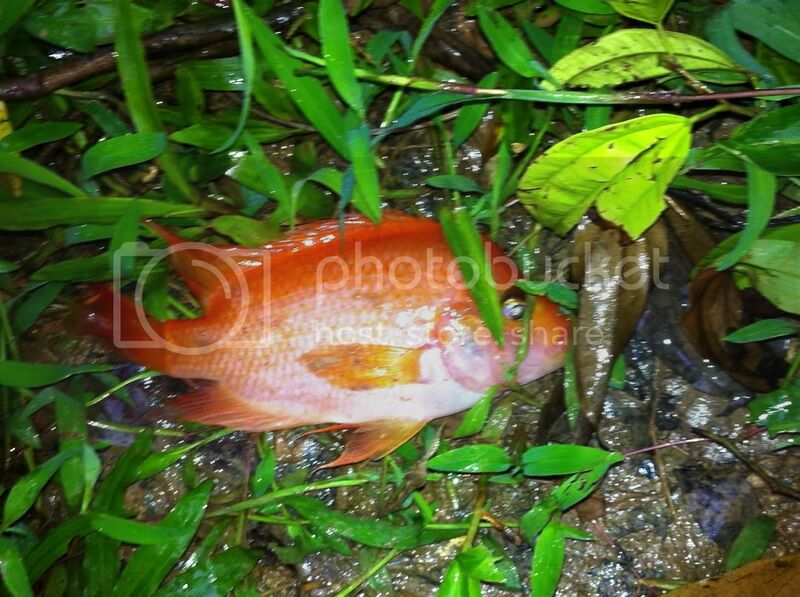 New fish to the list, also from a canal in northern Singapore, which I believe might be a red devil cichlid! Hmmm... just curious.. would someone get discriminated for handlining onboard? must have been hell of a fight!! just 1 question though, what are the black lines on the skull? must have been hell of a time de-fleshing it too.. lol. congrats! Peace wrote: I'll check out the place if I have the time, but I don't really feel comfortable fishing around no-fishing signs.